Feeling a little down lately? Slightly on edge because of, oh, I dunno, the world and stuff? Occasionally stop cold in your tracks and begin sobbing or panicking for no apparent reason? Well, my friend, you are not alone. During trying times, it's important to seek out healthy coping mechanisms. And since quiet and safe spaces aren't always available to help you breathe through your troubles, here are eight apps that will help you combat your bouts of stress and anxiety on the go. 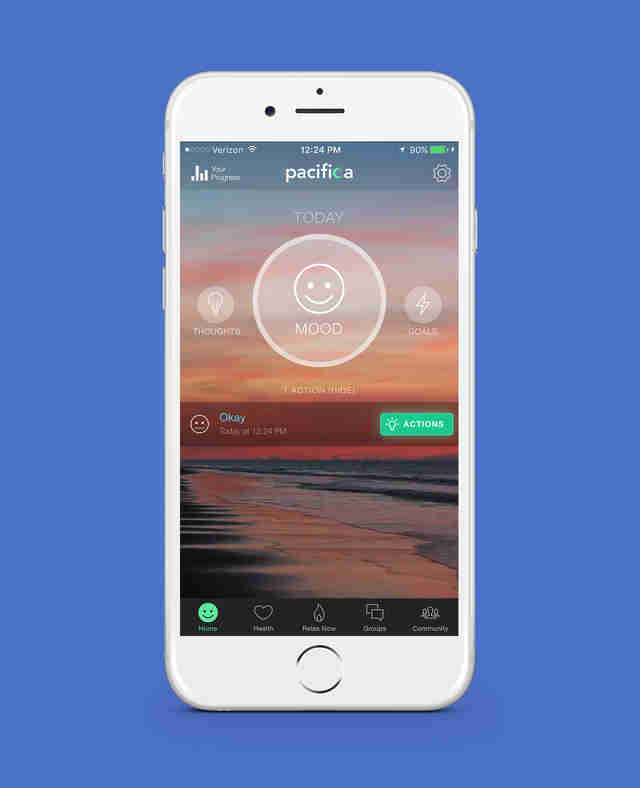 By tracking your mood, activity level, and feelings throughout the day, Pacifica provides hyper-personalized strategies to combat anxiety in its most subtle and extreme manifestations, including guided meditations, deep-breathing exercises, and progressive muscle relaxation. The overall approach is based on cognitive-behavioral therapy, in that it's designed to help you better identify, understand, and change your thinking and behavior patterns. 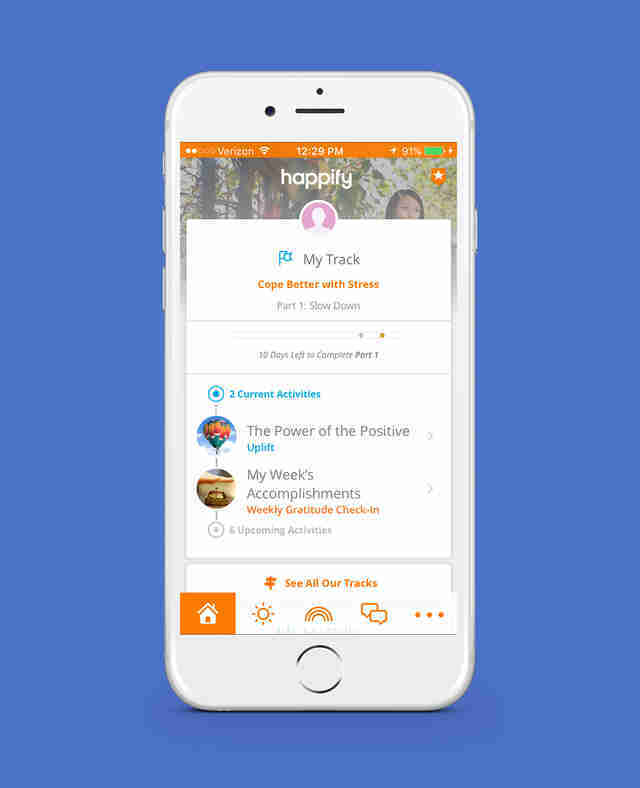 When you first sign up, Happify poses a series of personal questions about how you're currently feeling in order to determine your "happiness score," then recommends a selection of "tracks" that may help boost it (e.g., conquering negative thoughts, coping better with stress, building self-confidence, fueling your career success, etc.). Then, it helps you complete a set of simple activities, games, and writing exercises over the next few days to target that particular area. It sounds silly, but if you stick with it for a while it will actually help you out -- according to user stats, nearly 90% of people who frequently used the app for at least two months said they felt happier. 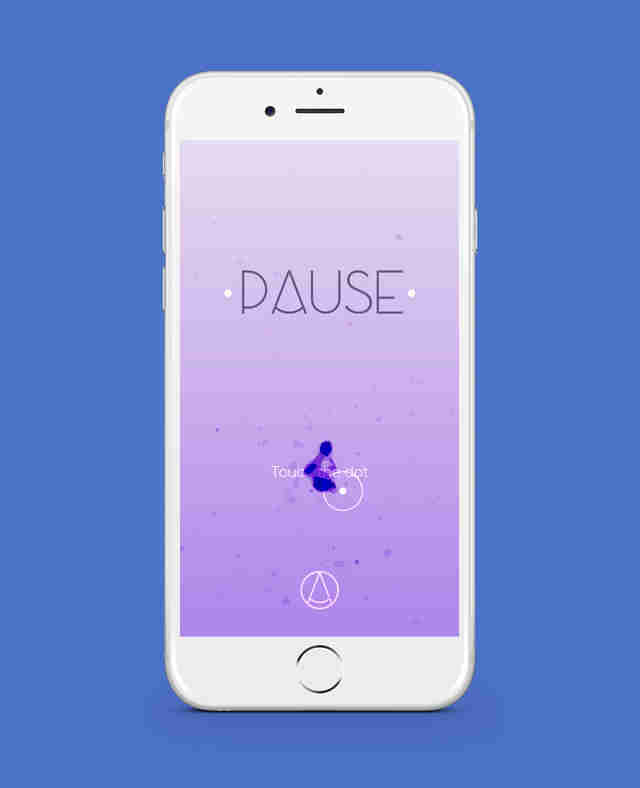 Relax Melodies is essentially an elaborate soundboard of soothing ambient audio designed to dial down your brain and help you fall asleep. You can cue up individual looping nature clips (rain, birds, winds, etc.) or melodies (humming, grandfather clock, monk chant, etc. ), or even combine them and adjust volumes to create your own custom soundscapes. 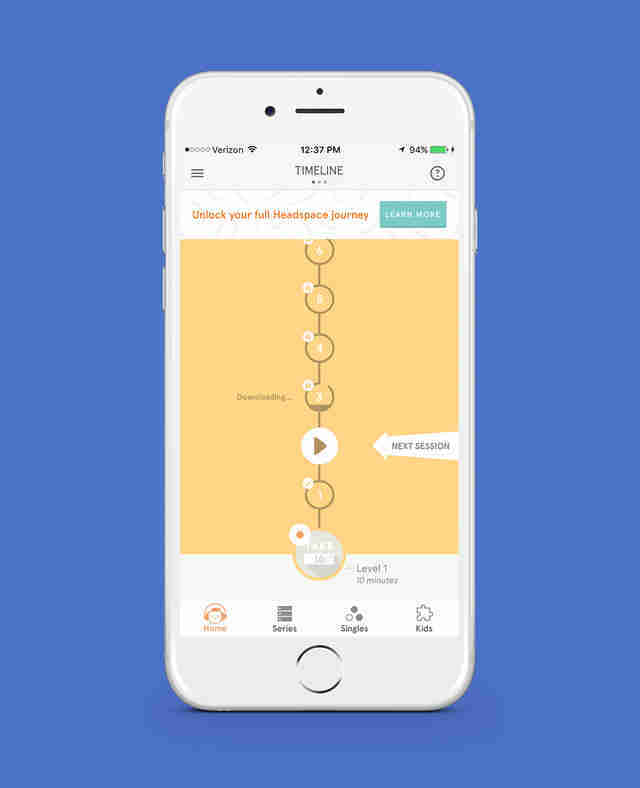 One of the better-known apps on the list, Headspace likens itself to a "gym for the mind," offering up a wide variety of audio-guided meditations and mindfulness exercises. The initial course of 10 10-minute sessions is free, and will walk you through the basics of meditation. From there, if you pony up the $13-per-month subscription fee you'll gain access to its full lineup, which includes specialized guided and unguided exercises designed to help you apply mindfulness techniques to everyday situations (at work, in your relationship, while cooking, etc. ), and bite-sized "S.O.S." exercises to resuscitate you whenever you feel like you're melting down. 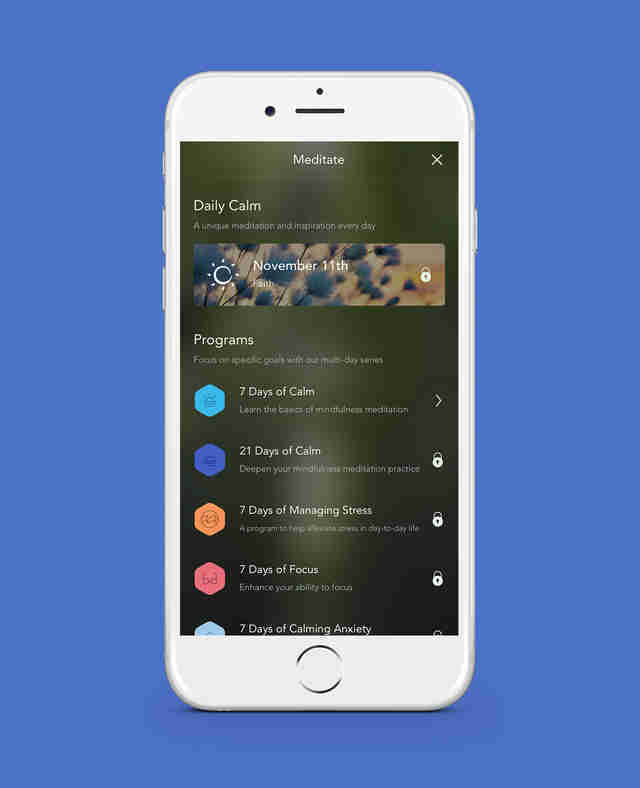 Like Headspace, Calm is loaded with a variety of guided meditation sessions to help you better acquaint yourself with the practice, and eventually get to the point where you can successfully do it without your smartphone. Even better, it's stocked with a catalog of soothing nature sounds and calming music intended to lull you to sleep on those nights when your brain won't stop racing. 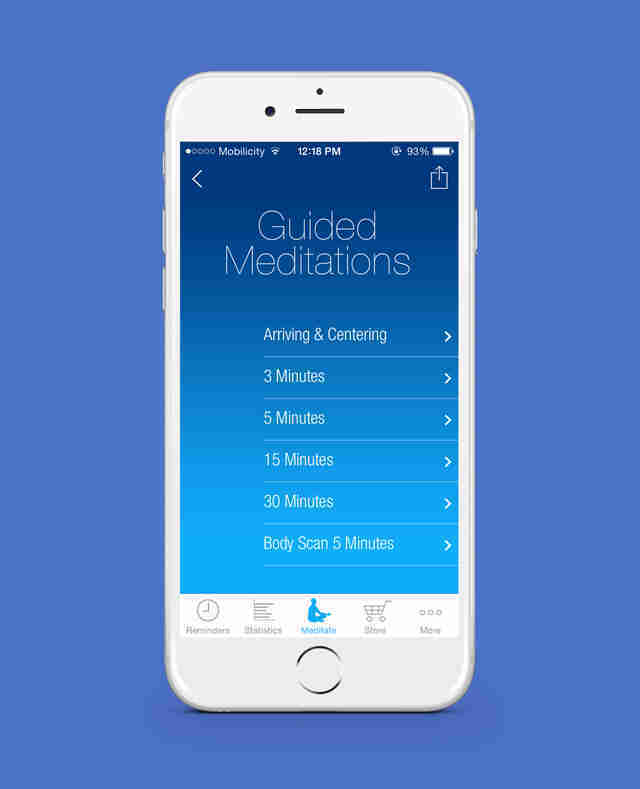 In addition to a five-day guided introduction to meditating, the Mindfulness App provides a whole catalog of premium sessions guided by some of the world's most popular and influential meditation teachers, and deploys periodic personalized push notifications based on time of day and location (at work, at the gym, etc.) to remind you to remain mindful. Rather than give you the ins and outs of meditating, B2R takes a more granular approach by teaching you how to combat stress using something known as "diaphragmatic breathing." 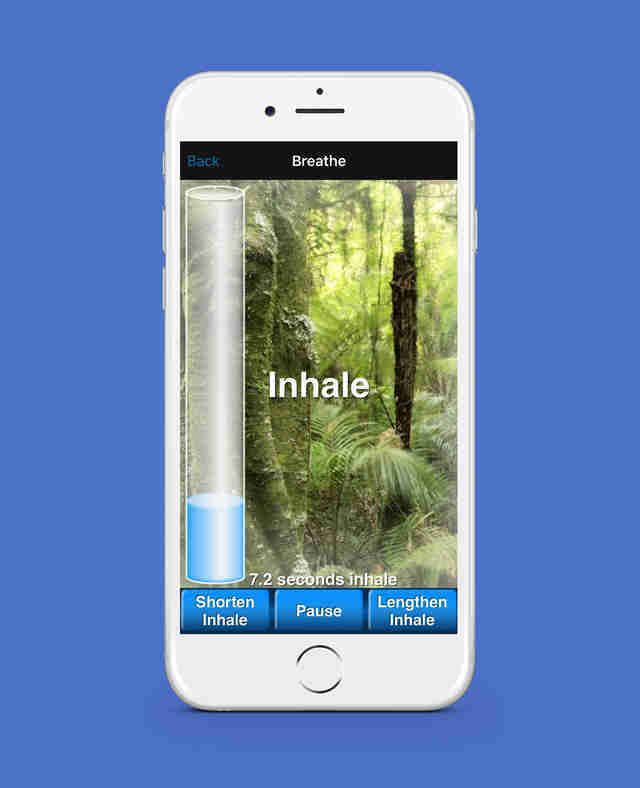 Based on how you indicate you're feeling, it culls together a specialized breathing exercise during which the screen indicates how long to inhale and exhale for a specific amount of time. 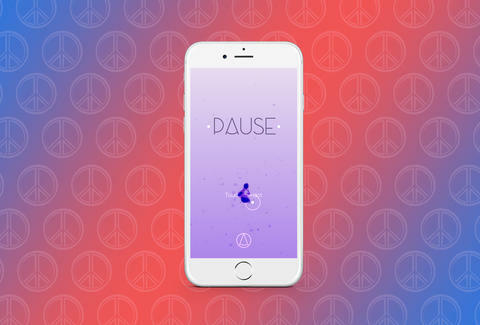 Although it may seem like a glorified lava lamp on your phone screen, PAUSE is actually a thoughtfully designed "game" that subconsciously calms you by getting you to gently focus on the floating blobs, which in turn helps release stress. Sounds crazy, I know, but it's surprisingly effective. Joe McGauley is a senior writer for Thrillist who's patiently awaiting the day when we can download a Xanax.